Properties: It is considered a good anesthetic, analgesic, antioxidant, antiseptic, carminative, relaxant, rubefacient, stimulant, and tonic. Health benefits: It has been claimed to induce numbness, relieve pain, relax the body and mind, add color to the skin, and stimulate various other functions. Properties: Angelica essential oil is commonly known as a beneficial anti-spasmodic, carminative, depurative, diaphoretic, digestive, diuretic, hepatic, emenagogue, expectorant, febrifuge, nervine, stimulant, stomachic, and tonic. Health benefits: It relaxes spasms, reduces gases, purifies the blood, promotes perspiration, improves digestion, increases urination, and removes toxins. Angelica essential oil is also good for liver and stomach, relieves obstructed menstruation, expels phlegm & catarrh, reduces fever, cures nervous disorders, and tones the body. Properties: Traditionally, it has been used as an anti-epileptic, anti-hysteric, anti-rheumatic, antiseptic, anti-spasmodic, aperient, carminative, cordial, decongestant, digestive, expectorant, insecticide, sedative, stimulant, and vermifuge. Properties: Basil essential oil is carminative, anti-spasmodic, analgesic, anti-bacterial, and opthalmic. Properties: It is often used as antiseptic, antibiotic, anti-neuralgic, anti-spasmodic, analgesic, astringent, cholagogue, emenagogue, febrifuge, insecticide, sedative, stomachic, sudorific and tonic. Properties: It is considered an anti-depressant, carminative, cordial, deodorant, disinfectant, relaxant, diuretic, expectorant, antiseptic, vulnerary, astringent, anti-inflammatory, anti-rheumatic, and sedative. Healthbenefits:Bergamot essential oil removes body odor, relieves spasms, suppresses pain, improves mood and fights depression, heals cuts and scars, and promotes efficient digestion. Properties: It is a tonic, disinfectant, stimulant & antidepressant, analgesic, detoxifier, antirheumatic and anti-arthritic. Furthermore, it is a diuretic, antiseptic, astringent, febrifuge, germicide, insecticide, and a depurative. Health benefits:Birch essential oil fights depression, reduces pain, promotes urination, protects wounds from becoming septic, reduces fever, kills germs, and purifies the blood. Properties: It is traditionally used as a vermifuge, febrifuge, bactericide, germicide, fungicide, sedative, anesthetic, aperient, diuretic, anti-intoxicant, antispasmodic, and as a cure for hydrophobia. Properties: It is considered a digestive, diaphoretic, carminative, aperient, antispasmodic, antirheumatic, antiarthritic, antibacterial, and an antioxidant. Properties: It is classified as many things, including anti-inflammatory, antirheumatic, antiseptic, cholagogue, digestive, diuretic, hepatic, insecticide, narcotic, stimulant and vermifuge. Health benefits: It has been known to reduce inflammation, treat rheumatism & arthritis, protect against septic, promote bile secretion, facilitate digestion, and increase urination and the removal of toxins from the body. It is good for the liver, and kills and repels insects. Properties: It is used as an antiseptic, antirheumatic, antiarthritic, carminative, digestive, diuretic, insecticide and a tonic. Health benefits:Buchu essential oil protects against septic, treats rheumatism and arthritis, removes gas, facilitates digestion, increases urination & removal of toxins, tones up the body’s musculature, while also repelling and killing insects. Properties: It is commonly used as an antiseptic, cosmetic, bactericide, insecticide, decongestant, analgesic, expectorant, febrifuge, vermifuge, anti-spasmodic, anti-neuralgic, carminative, stimulant, tonic, sudorific, and emenagogue. Properties: It is commonly known as an anti-rheumatic, anti-spasmodic, cephalic, circulatory stimulant, memory booster, nervine, stimulant and as a tranquilizer. Health benefits:Calamus essential oil treats rheumatism and arthritis, relaxes spasm, and inhibits microbial growth, while being good for the brain and memory. Furthermore, it increases blood & lymph circulation, cures nervous disorders, and induces sleep. Health benefits:Camphor essential oil cures spasms, protects wounds from infections, eliminates congestion, desensitizes and acts as local anesthetic, calms nervous disturbances, cures neuralgic pain, soothes inflammation, fights infections, and kills insects. Properties: It is a Galactogogue, anti-histaminic, antiseptic, antispasmodic, carminative, digestive, stomachic, disinfectant, diuretic, emenagogue, expectorant, aperitif, astringent, insecticide, stimulant, tonic, and vermifuge. Properties: It is considered an anti-spasmodic, and it also neutralizes the adverse effects of chemotherapy, reduces nausea. It is used as an antiseptic, anti-microbial, aphrodisiac, astringent, digestive, stomachic, stimulant, and diuretic agent. Health benefits: It has been known to cure spasms, fight nausea, protect wounds and incisions, curb microbial growth, increase libido, contract gums, promote digestion, and maintain stomach health. It stimulates secretions and other functions, increases urination and thereby removes extra salt, bile, water, toxins and fat from the body. Properties: It is antiseptic, disinfectant, detoxifying, antioxidant, carminative, depurative, diuretic, emmenagogue, stimulant, cytophylactic, and a tonic. Properties: It is commonly used as an anti-diarrheal, antidepressant, antiemetic, anti-galactagogue, antiviral, antimicrobial, antirheumatic and an anti-arthritic. Besides all those “anti-s”, cassia essential oil is also an astringent, carminative, circulatory, emmenagogue, febrifuge and a stimulant. Properties: This lesser-known essential oil is anti-spasmodic, carminative, diaphoretic, emmenagogue, nervine, stomachic, stimulant, and astringent. Health benefits: It is commonly used to fight spasms, remove gases, promote sweating, open obstructed menses and regulate their cycles, strengthen the nervous system, maintain stomach health, and generally stimulate appropriate system functioning in the body. Properties: It is anti-seborrhoeic, antiseptic, antispasmodic, tonic, astringent, diuretic, emenagogue, expectorant, insecticidal, sedative, and a fungicide. Properties: It is antibacterial, antifungal, anti-microbial, astringent, anti-clotting, stimulating, cooling, and carminative in nature. Health benefits: It is frequently employed as a brain tonic, as well as for respiratory problems, skin infections, blood impurity, blood circulation issues, infections, wound healing, pain relief, birth control, menstruation problems, breastfeeding, heart disorders, diabetes, colon cancer, indigestion, and as a relief for bad breath! Properties:Citronella essential oil is an anti-bacterial, antidepressant, antiseptic, anti-spasmodic, anti-inflammatory and deodorant, all rolled into one. It is also diaphoretic, diuretic, febrifuge, fungicidal, stomachic, stimulant, tonic and vermifuge. Perhaps most well known in recent years is its use as a very effective insect repellent. Properties: For centuries, this essential oil has been used as an analgesic, aphrodisiac, anti-spasmodic, carminative, depurative, deodorant, digestive, fungicide, lipolytic, stimulant, and stomachic. Health benefits: It has been well-reported to reduce pain, increase libido, reduce spasms, eliminate excess gas, purify the blood, decrease body odor, promote digestion, and inhibit fungal growth and infection. Furthermore, it reduces fat by breaking it down through hydrolysis, and maintains good health and tone of the stomach. Properties: This essential oil is bactericidal, carminative, digestive, diuretic, antiseptic, antispasmodic, detoxifying, emenagogue, stimulant, nervine, and tonic in nature. Properties: It is considered an astringent, antiseptic, anti-spasmodic, deodorant, diuretic, hemostatic, hepatic, styptic, sudorific, vasoconstrictor, respiratory tonic, and sedative. Health benefits:Cypress essential oil strengthens gums and contracts muscles, protects wounds against infections, clears spasms, removes body odor, increases urination, promotes perspiration, strengthens the respiratory system, and soothes inflammation. Properties: It is commonly used as an antidepressant, antiseptic, antiviral, disinfectant, emmenagogue, expectorant, relaxant and vulnerary. Health benefits: Traditionally, it is used to fight depression and uplift mood, protect against wounds becoming septic, fight viral infections, and provide relief from obstructed menstrual cycles and regulate them. It also expels phlegm & catarrh, relaxes the body and mind, while healing wounds. Properties: It is commonly used as an anti-spasmodic, carminative, digestive, disinfectant, galactagogue, sedative, stomachic, and sudorific. Health benefits: It is frequently used to relieve spasms, eliminate excess gas, promote healthy digestion, prohibit infections, increase secretion of milk, soothe hypersensitivity and anxiety while being good for the stomach and increasing perspiration. Properties: It is used as an antiseptic, analgesic, expectorant, stimulant and tonic. Health benefits: It is very useful in protecting against septic, relieving pain, expelling phlegm & catarrh, and generally increasing the muscle tone and health of the body. Properties:Fennel essential oil is an antiseptic, anti-spasmodic, aperitif, carminative, depurative, diuretic, emmenagogue, expectorant, galactogogue, laxative, stimulant, stomachic, splenic, tonic, and a vermifuge. Properties:Galbanum essential oil has been used as an anti-arthritic, anti-rheumatic, anti-spasmodic, cicatrisant, circulatory stimulant, decongestant, detoxifier, emollient, insecticide, anti-parasitic and vulnerary. Health benefits: Traditionally, it has been known to treat rheumatism and arthritis, relaxes spasm, clears scars and spots, increases blood and lymph circulation, clears congestion, and eases breathing. Furthermore, it removes toxins, improves skin health, kills & repels insects, eliminates parasites, and speeds up the healing of wounds. Properties: It can be used as an analgesic, antiemetic, antiseptic, antispasmodic, bactericidal, carminative, cephalic, expectorant, febrifuge, laxative, rubefacient, stimulant, stomachic, sudorific, and tonic. Health benefits: In various parts of the world, it is used to stimulate urination, fight infections, reduce depression and uplift mood. It also protects wounds from becoming septic while increasing the elimination of toxins. Properties: This essential oil is antispasmodic, anti-coagulant, ant-iallergenic, anti-microbial, anti-haematomic, antiphlogistic, nervine, anti-inflammatory, antitussive, cicatrisant, expectorant, febrifuge, anti septic, cholagogue, emollient, mucolytic, fungicidal, hepatic, diuretic, splenic, and cytophylactic. Properties:Hyssop essential oil is an astringent, stimulant, anti-spasmodic, antirheumatic, antiseptic, carminative, cicatrisant, digestive, diuretic, emenagogue, expectorant, hypertensive, nervine, sudorific, tonic, febrifuge, vermifuge, and vulnerary. Properties: It is considered an antidepressant, antiseptic, aphrodisiac, antispasmodic, cicatrisant, expectorant, galactagogue, emenagogue, parturient, sedative and uterine. Properties:Juniper essential oil has long been known as an antiseptic, sudorific, antirheumatic, depurative, antispasmodic, stimulating, stomachic, astringent, carminative, diuretic, rubefacient, vulnerary and tonic. Properties: It is commonly used as an antidepressant, antiseptic, analgesic, cicatrisant, expectorant, nervine, and vulnerary. Health benefits: Lavandin essential oil fights depression, protects wounds from developing infections, reduces pain, heals scars and after-marks, clears phlegm, cures coughs, and strengthens nerves. Properties:Lavender essential oil can be calming, sleep-inducing, analgesic, disinfectant, anti-inflammatory, antiseptic, and antifungal. Properties:Lemon essential oil is an antiseptic, antiviral, astringent, aperitif, bactericidal, disinfectant, febrifuge, haemostatic, restorative, and tonic. Properties:Lime essential oil is antiseptic, antiviral, astringent, aperitif, bactericidal, disinfectant, febrifuge, hemostatic, restorative, and tonic. Health benefits: It is known to protect wounds from becoming septic, protect against viral infection, boost appetite, kill bacteria, fight infections, reduce fever, stop hemorrhage, and generally boost health. Properties: It is famed for being an antiseptic, antispasmodic, circulatory, cytophylactic, depurative, digestive, hepatic, nervous relaxant, sedative, stomachic and a tonic. Properties:Manuka essential oil is antidandruff, an antidote to insect bites and stings, as well as antibacterial, antifungal, anti-inflammatory, antihistaminic, antiallergenic, cicatrisant, cytophylactic, deodorant and a great nervous relaxant. Health benefits: It is commonly used to treat dandruff, counter venomous bites, inhibit bacterial and fungal infections, sedate inflammation, check production of histamine and reduce allergic symptoms. Finally, it quickly clears up scars and spots, promotes growth & regeneration of cells, and reduces body odor. Properties:Marjoram essential oil is analgesic, anti-spasmodic, anaphrodisiac, antiseptic, antiviral, bactericidal, carminative, cephalic, cordial, diaphoretic, digestive, diuretic, emenagogue, expectorant, fungicidal, hypotensive, laxative, nervine, sedative, stomachic, vasodilator, and vulnerary. Quite busy essential oil! Properties: It is commonly used as an antidepressant, cordial, nervine, emenagogue, sedative, antispasmodic, stomachic, antibacterial, carminative, diaphoretic, febrifuge, hypotensive, sudorific, and tonic. Health benefits:Mugwort essential oil facilitates digestion, increases urination and removal of toxins, treats nervous disorders, stimulates systemic functions, maintains uterine health, and kills intestinal worms. Properties: It is an analgesic, anti-inflammatory, antiseptic, disinfectant, diuretic, expectorant, febrifuge, relaxant and tranquilizing. Health benefits: It is frequently used for pain relief, and as a way to sedate inflammation, protect against wounds becoming septic, fight infections, increase urination and remove toxins from the body. Furthermore, it expels phlegm & catarrh, reduces fever, relaxes the body and mind. It is also good for inducing sleep. Properties: It has been traditionally used as a stimulant, irritant, appetizer, antibacterial, antifungal, insect repellant, hair revitalizer, cordial, diaphoretic, antirheumatic and tonic. Properties: This type of essential oil is an antimicrobial, astringent, expectorant, antifungal, stimulant, carminative, stomachic, anti-catarrhal, diaphoretic, vulnerary, antiseptic, immune booster, circulatory, tonic, anti-inflammatory, antispasmodic. Properties: It is an antiseptic, astringent, deodorant, expectorant, and a sedative. Health benefits:Myrtle essential oil increases the rate of wound healing, and protects ulcers against developing more serious infections. Also, it tightens gums and muscles, stops hemorrhaging, reduces body odor, fights coughs & colds, soothes inflammations, and settles nervous disorders. Properties:Neroli essential oil is an antidepressant, aphrodisiac, antiseptic, bactericidal, cordial, carminative, cicatrisant, cytophylactic, disinfectant, antispasmodic, deodorant, digestive, emollient, sedative, and tonic. Properties: This oil can be used as an analgesic, antirheumatic, antiseptic, bactericidal, balsamic, cicatrisant, decongestant, expectorant, febrifuge, insecticide, stimulant, vermifuge and a vulnerary. Properties:Oakmoss essential oil is commonly used as an antiseptic, demulcent, expectorant and restorative. Health benefits: It helps to protect against septic, expel phlegm and catarrh, while healing wounds and generally restoring health. Properties:Orange essential oil is an antiinflammatory, antidepressant, antispasmodic, antiseptic, aphrodisiac, carminative, diuretic, tonic, sedative and a cholagogue. Properties: It is an antiviral, anti-bacterial, anti-fungal, anti-parasitic, antioxidant, anti-inflammatory, digestive, emenagogue, and an anti-allergenic. Properties:Palma rosa essential oil is used as an antiseptic, antiviral, bactericide, cytophylactic, digestive, febrifuge and a hydration balm. Health benefits: This oil protects against sepsis, inhibits viral and bacterial growth, promotes growth & regeneration of cells, facilitates digestion, and reduces fever. Properties: This type of essential oil is antimicrobial, antirheumatic, antiarthritic, antiseptic, astringent, carminative, circulatory, detoxifier, digestive, diuretic, depurative, emmenagogue, febrifuge, hypotensive, laxative, stimulant, stomachic and uterine. Properties:Patchouli oil is used as an antidepressant, antiphlogistic, antiseptic, aphrodisiac, astringent, cicatrisant, cytophylactic, deodorant, diuretic, febrifuge, fungicide, insecticide, sedative, and tonic. Properties: Pennyroyal essential oil is an antihysteric, antimicrobial and antibacterial, antirheumatic and antiarthritic, antiseptic, astringent, cordial, decongestant, depurative, digestive, emmenagogue, insecticide and a stomachic. Properties:Peppermint oil is used as an analgesic, anesthetic, antiseptic, anti-galactagogue, antiphlogistic, antispasmodic, astringent, carminative, cephalic, cholagogue, cordial, decongestant, emenagogue, expectorant, febrifuge, hepatic, nervine, stimulant, stomachic, sudorific, vasoconstrictor and as a vermifuge. Properties: This essential oil is an antiseptic, antispasmodic, antidepressant, deodorant, nervine and sedative. Health benefits: It normally protects against sepsis, relaxes spasms, fights depression and uplifts mood, while also eliminating body odor, treating nervous disorders, soothing inflammation, and reducing nervous afflictions. Health benefits: Pimento essential oil induces numbness, relieves pain, fights premature aging, protects against sepsis, reduces excess gas, relaxes the body and mind, brings coloration to the skin, and generally increases the health of users. Properties: It is often used as an antibacterial, analgesic, diuretic, energizing, antiseptic, or aromatic substance. Health benefits: It is commonly employed to help in skin care, cosmetics, increase of metabolism, pain relief, stress disorders, mental fatigue, urinary tract infections, and various respiratory problems. Properties: It is well known as an analgesic, anti-allergenic, antibacterial, antimicrobial, antidepressant, antifungal, antiseptic, antispasmodic, antiviral, aphrodisiac, disinfectant, diuretic, expectorant, relaxant and tonic compound. Properties:Rose essential oil has long been used as an antidepressant, antiphlogistic, antiseptic, antispasmodic, antiviral, aphrodisiac, astringent, bactericidal, cholagogue, cicatrisant, depurative, emenagogue, haemostatic, hepatic, laxative, nervine, stomachic, and a uterineoil substance. Properties:Rosemary essential oil is great for stimulating hair growth, and as a disinfectant, antiseptic, anti-inflammatory, carminative, antibacterial, and analgesic substance. Properties:Rosewood essential oil is commonly thought of as an analgesic, antidepressant, antiseptic, aphrodisiac, antibacterial, cephalic, deodorant, insecticide, and stimulant substance. Health benefits: It is often used to reduce pain, fight depression, protect wounds from becoming septic, enhance libido and promote sexual arousal. It also kills bacteria, and is good for brain, while curing headaches, driving away body odor, killing insects and stimulating gland discharges. Properties:Rue essential oil is utilized as an antiarthritic, antirheumatic, antibacterial, antifungal, insecticidal, and a deterrent of various nervous afflictions. Health benefits: It is commonly used to neutralize the effects of poison, improves the circulation and removal of uric acid, inhibits bacterial and fungal infections, kills insects, keeps nerves steady and soothes nervous afflictions. Furthermore, it promotes digestion, relieves epileptic and hysteric attacks and can even help cure them. Properties: Sage essential oil is normally considered an antifungal, antimicrobial, antibacterial, antiseptic, antioxidant, anti-inflammatory, antispasmodic, cholagogue and choleretic. It is also commonly used as a cicatrisant, depurative, digestive, disinfectant, emenagogue, expectorant, febrifuge, laxative, and a stimulant substance. Properties: It can be used as an antiseptic, anti-inflammatory, antiphlogistic, antispasmodic, astringent, cicatrisant, carminative, diuretic, disinfectant, emollient, expectorant, hypotensive, memory booster, sedative, and tonic substance. Properties:Spearmint essential oil is an antiseptic, antispasmodic, carminative, cephalic, emmenagogue, insecticide, restorative, and stimulating substance. Properties: Spikenard is an antibacterial, antifungal, anti-inflammatory, deodorant, laxative, sedative and a uterine substance. Health benefits: Traditionally, it has been known to inhibit bacterial and fungal growth, eliminate body odor, clear bowels, soothe inflammations and nervous afflictions, while restoring uterine health. Properties:Tagetes essential oil is an antibiotic, antimicrobial, antiparasitic, antiseptic, antispasmodic, disinfectant, insecticide and sedative. Health benefits: It is commonly used to inhibit biotic, microbial and other parasitic growth, protect against sepsis, relax spasms, fight infections, while also killing & repelling insects, soothing inflammations, and nervous disorders. Properties: This type of essential oil is an antiseptic, antispasmodic, cytophylactic, depurative, sedative, stomachic and tonic type of substance. Health benefits: It is commonly used to protect against sepsis, relax spasms, promote growth and regeneration of cells, while also purifying the blood, soothing inflammation and reducing nervous disorders. Properties:Tansy essential oil is an antibacterial, antifungal, anti-inflammatory, antihistaminic, antiviral, febrifuge, insecticide, hormone stimulant, sedative and a vermifuge substance. Health benefits: It is normally used to inhibit bacterial, fungal and viral growth, sedate inflammation, curb production of histamine and it gives relief from allergic symptoms. It can also be used to reduce fevers, kill & repel insects, stimulate the production of hormones, soothe inflammation and fix nervous afflictions. Properties:Tarragon essential oil is an antirheumatic, aperitif, circulatory agent, digestive, deodorant, emenagogue, stimulant and vermifuge. Health benefits: This oil also treats rheumatism and arthritis, enhances appetite, improves circulation of blood and lymph, facilitates digestion, eliminates body odor, relieves obstructed menstruation and regulates the menstrual cycle, stimulates systemic functions and kills intestinal worms. Properties:Tea tree essential oil is antibacterial, antimicrobial, antiviral, fungicide, insecticide, antiseptic, balsamic, cicatrisant, expectorant, stimulant, and sudorific in nature. Properties: This type of essential oil is an antirheumatic, astringent, diuretic, emenagogue, expectorant, insect repellent, rubefacient, stimulant, tonic and vermifuge substance. Properties: This type of oil is an antispasmodic, antirheumatic, antiseptic, bactericidal, bechic, cardiac, carminative, cicatrisant, diuretic, emenagogue, expectorant, hypertensive, insecticide, stimulant, tonic, and vermifugal substance. Properties:Tuberose essential oil is commonly used as an aphrodisiac, deodorant, relaxing, sedative and warming substance. Health benefits: The oil can enhance the libido, eliminate body odor, relax the body and mind, soothe inflammation, and reduce nervous disorders. Properties:Vanilla essential oil is an antioxidant, aphrodisiac, anticarcinogenic, febrifuge, antidepressant, sedative, tranquilizing, and generally relaxing substance. Properties:Vetiver essential oil is an anti-inflammatory, antiseptic, aphrodisiac, cicatrisant, nervine, sedative, tonic and a vulnerary compound. Health benefits: Doctors often prescribe it to soothe inflammation, protect against sepsis, enhance the libido, speed the healing process of scars and spots, cure nervous disorders, and generally boost the body’s ability to heal itself. Properties:Wintergreen essential oil is commonly used as an analgesic, anodyne, antirheumatic, antiarthritic, antispasmodic, antiseptic, aromatic, astringent, carminative, diuretic, emmenagogue and stimulating substance. Properties: It is an anti-helmitic, cholagogue, deodorant, digestive, emmenagogue, febrifuge, insecticide, narcotic, vermifuge and tonic type of substance. 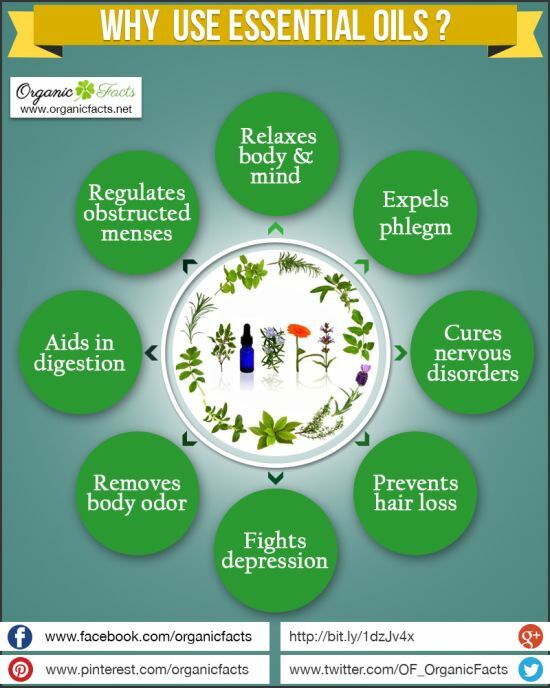 Health benefits:Wormwood essential oil kills worms and larvae, promotes secretion of bile and other discharges, eliminates body odor, facilitates digestion, regulates and moderates an unobstructed menstrual cycle, reduces fever, kills & repels insects, and generally increases the tone and health of the body. Properties:Yarrow essential oil is commonly used for its anti-inflammatory, antirheumatic, antiseptic, antispasmodic, astringent, carminative, cicatrisant, diaphoretic, digestive, expectorant, hemostatic, hypotensive, stomachic, and tonic qualities. Properties: This final essential oil is an antidepressant, anti-seborrhoeic, antiseptic, aphrodisiac, hypotensive, nervine and sedative type of substance. Health benefits: It fights against depression and uplifts mood, stops sebum secretion, protects against sepsis, increases libido and cures various sexual disorders, while also reducing blood pressure, curing nervous disorders, soothing inflammation and reducing the severity of nervous disorders.